As we approached the border crossing, the fear began to set in. Within a few hundred yards of crossing, we encountered a full-on cartel battle. Thinking quickly, we turned down a side street, and got out of there as fast as we could. But, where was the highway? After a few turns, we were lost. Fear was now really setting in, as the locals began to gather around our car. Kidnapping crossed my mind. Could this really be happening, or was it a dream? These are the images that most people have of entering Mexico. Nothing even remotely close to this happened. It had been at least 30 years since I last drove to Mexico, so I wasn't really sure what to expect. Next we headed back down Hwy 3, and then branched off to a parallel road (Hwy 1 according to the maps, but I'm still not sure if that is the right information). Driving through these little towns, you see the poverty of Mexico, and then you turn down a side road, drive a ways on the dirt road, and come up to a fancy new winery (Vinicola). 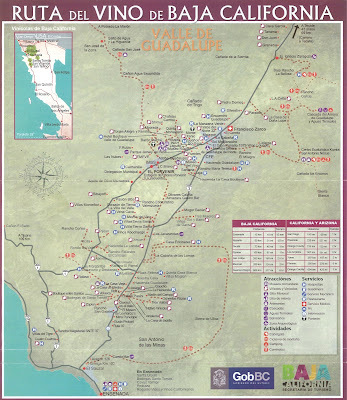 There is a dichotomy in the Valle de Guadalupe between the "haves" and "have nots". Baron Balche was the next stop. Outside, the temperature was getting hotter, and the humidity was picking up (tropical storm Ivo was passing through). Baron Balche has a gravity fed facility, and the lower floors are all underground. The cooler temps in the cellar room, and the tasting rooms was comfortable. Most of the people in this winery did not speak English, so we were a little challenged, but as luck would have it, there was a taxi driver, hosting some German tourists, who spoke perfect English and did some translating, which led to some long discussions, and eventually some tastes of their $120/bottle Grenache, and their Grenache based dessert wine. Yes, I did write $120/bottle. It was good, but I wasn't about to pay that price. Our last stop for the day was at Pijoan. This is a quaint little winery on a small knoll. Three dogs wandered in and out of the wine tasting room. Here we had a very nice tasting, along with some local cheeses. In addition to the regular wines, we were able to get some additional tastings including a very nice dessert "port". We would have bought a number of their wines, but we had already purchased the maximum we could bring across the border. Next time! There was another American couple in the tasting room, and the conversation turned to restaurants in the area. They had eaten at Laja the night before. An eight course meal that they said was extraordinary. This night they had reservations at Hacienda Guadalupe. The tasting room manager also recommended his favorite seafood restaurant in Ensenada, Muelle Tres. Most of the wineries close between 4:00 and 5:00, so we had run out of time for this trip. We headed back down the road, and reconnected with Hwy 3. Here we noticed the fruit stands, wine & cheese shops, and local restaurants that we missed on our way into the valley. Since we were so close to Ensenada, we drove into town to see if I could find Hussong's Cantina (the home of the original Margarita). Last time I drove to Ensenada, Hussong's was on a dirt road in the outskirts of town. Now it is in the center of town, and surrounded by large, loud tourist bars. Still, I found it with no problem. So, we didn't get kidnapped, or mugged, or caught in a cartel shootout. The biggest danger we had was finding too many good wines, and no way to get them back to the U.S. Other than the limited amount of wine, the biggest "hassle" of the entire trip was crossing back into the U.S. The wait at the border was 90 minutes, and some serious questioning from the border patrol. 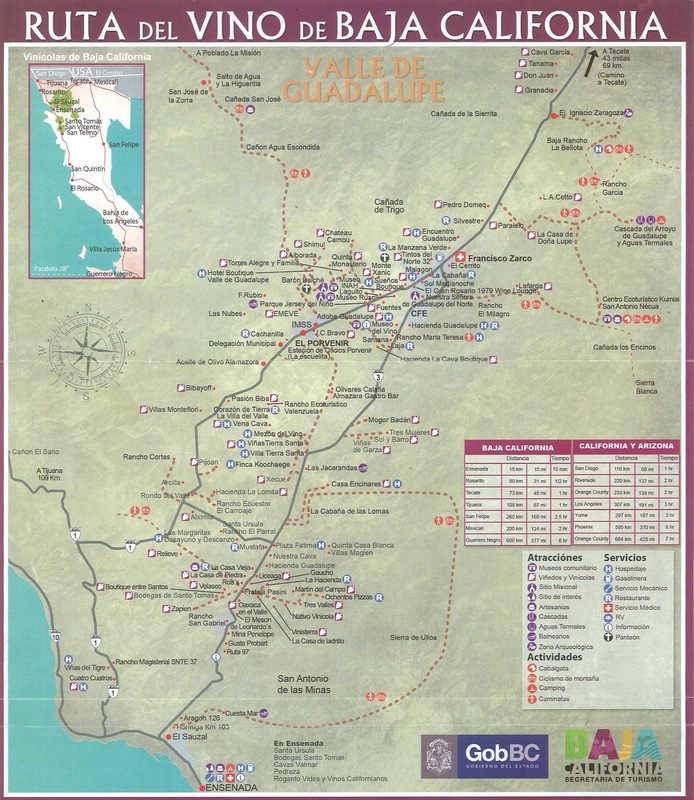 Is Valle de Guadalupe the "Napa of Mexico"? For Mexico it probably is. For someone who has tasted wines in Napa, or even Paso Robles, there is still a long ways to go, but they are on the right track. You should visit it now, because twenty years from now, you may not recognize the place. Then again, it may stay the same, as the growth in vineyard land is limited by the lack of water. New wineries are having to import their own water. What is sure to improve is the infrastructure, the restaurants, the shops. Money is flowing to the area, and it is bound to change. I look forward to going back, soon...there are over 60 wineries to still check out, restaurants to try, and cheese shops to visit. A couple weeks ago, I conducted a blind tasting of five red wines. Anyone who has been a follower of this blog, or attended one of my tastings, knows that I like to add a “twist”. This time I through in five red varieties that were similar to some of the more familiar grape varieties, but just different enough that “something didn’t taste quite right”. I included Italian grapes grown in California, French Grapes, Spanish grapes, and one South African grape. As a wine producing country, South Africa is considered a new world wine country, but is has been producing wines since the mid 1600’s, when it was a way station for the Dutch East India Company. Apartheid pretty much isolated the country and its’ wines, and ever since, it has been trying to carve a new identity for itself. 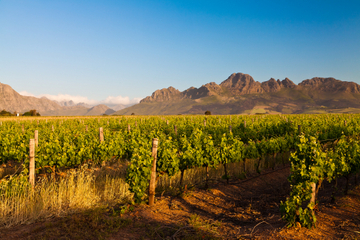 People either "love" or "hate" South Africa's famous red wine grape variety: Pinotage. The jury is still out on whether or not this is quality grape. 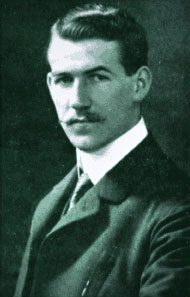 Pinotage is the direct result of a somewhat unusual cross, developed in 1925 by Abraham Perold. Pinot Noir and Cinsault (as it's known in France) or "Hermitage" (as the same grape is referred to in South Africa) were successfully crossed at Stellenbosch University. The intention of the cross was most likely to capture and expand upon Pinot Noir's delicate elegance and Cinsault's hardy-nature. The result being a new red wine grape that not only blends the two grapes together, but also their names ("Pinot Noir" and "Hermitage"). This new grape is easy to grow. It is early ripening with moderate yields. Unlike Pinot Noir, the grapes are highly pigmented, with only moderate acidity. In general, Pinotage tends to take on a rustic profile and often shows earth-driven notes on both the nose and the palate, followed by red berries, plums, banana, smoke and even acetone characteristics. New vinification techniques have led to a more acceptable, and even sought after taste. Both the Aussies, and the French have contributed more modern production methods (controlled fermentation temperatures, oxygen control, and a more artisan approach in general. With a profile like that, people either tend to have a "love it or hate it" relationship with Pinotage. If you fall into the "love it" camp, then this wine can be a fairly flexible pairing partner, going well with the likes of game, steak, brats, burgers and pizza. 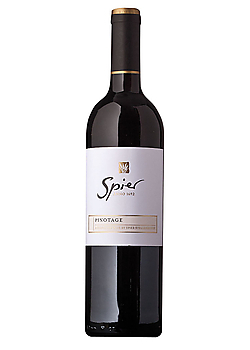 The wine we had at the blind tasting was the Spier 2011 Pinotage. Based on the feedback, this wine didn’t have a love hate relationship with the tasters. It did receive overwhelming support. The wine was very deep red in color, which was a prelude to the red berry flavors. The tannins were soft and round. Many mistakenly chose this wine as a fruit forward Syrah. This week, I have stopped and started with my blog writing. I've been side tracked with numerous business dealings, talking with old friends about wine distribution, consulting another on purchasing a foreclosed on vineyard, among other things. I had planned on writing about another unusual grape...maybe next week. Following my blog from last week, I ventured out to a local concert. Even my friend, David Wilson at Grape Encounters Radio got into the music and wine theme. I hadn't planned it this way, but last week's blog has really played out in an unusual way. 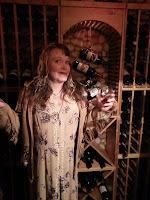 I was surprised by the visit of Exene Cervenka at one of my wine tasting events. (Exene was/is the lead singer for one of my favorite bands during my college days: X). Tonight, I attended the Michelle Mangione concert, and it got me thinking.....The band members are extremely talented. They played, and people either stayed and listened, or just walked on by. How often do we just "walk on by" rather than stop and pay attention to what (or who) is in front of us? All five members of the band have very interesting backgrounds. All of them have played with famous bands, and band members. But, you need to take the time, and observe. Last week, I had the opportunity to have breakfast with the three of the band members in Superlark, along with Exene. People walked in and out the restaurant, and probably never realized who they just passed up. I wonder how many times I have done the same thing? So what does this have to do with wine? Everything! How many wines have you not tasted, because it didn't get a 90+ rating by so-and-so? How many wineries have you not visited because they haven't been written up by your favorite wine magazine or blogger? How many wines haven't you tried because you had no idea what grape it was made from? It is time to change the way we look at things. What may just appear to be an everyday winery trying to make a buck (or a band playing a local concert) may be a diamond in the rough. I have been guilty of this. A number of years ago, I had planned a wine tasting trip to the Central Coast of California. I had laid out all the wineries I wanted to visit, based on the recommendations of a well known wine magazine. We visited one of the wineries (whose wines were very good). They shared their crush facility with a small, unknown (at the time) winery. As we were getting ready to leave, the winemaker sheepishly approached us, and asked if we wanted to try his wines. Over the next half hour, we fell in love with his enthusiasm, and his wine. Dragonette Cellars, and winemakers Brandon Sparks-Gillis and John Dragonette have become friends, and their wines are now gaining a huge following. These talented winemakers would have been passed up, if we had not stopped, listened, and tasted. As a Sommelier, I am always looking for the next "up and comer", the next grape variety, or the next trend. My challenge to all readers of this blog is to try something new. Don't buy the wine based on a rating. Buy something different. For the last couple weeks, I wrote about Amarone and Barbera. If you haven't tried these, you are just "walking by", and missing out on what is right there in front of you. 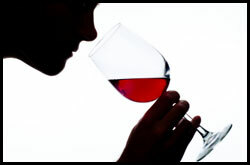 When you do purchase the wine, stop, slow down, savor the aroma, the taste, and finish. Evaluate the wine, learn about its' background, and enjoy the experience. Why stop with wine? As we go through life, we need to slow down and observe. You may just discover new things surrounding you. 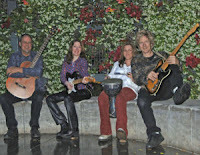 You may find a new winery, and new grape, and new friend, new community, and new band. Life is too short to do what everyone else is doing, or in this case, drinking. Summertime in our mountain community, usually means music. We have Jazz festivals, Art Association shows, and a Summer Concert Series in the lake side village. When we attend, we always bring wine and appetizers. As the evening moves along, and the wine bottles empty, it occurred to me that wine and music must have been made for each other. I was reading the latest issue of Food & Wine magazine, and there was a short interview with Mike D, of the Beastie Boys, and he is quoted as saying, “There’s something that fires when your taste buds are dazzled in a certain way with wine that is almost beyond words. It’s the same thing that happens when you listen to Mile Davis’s On the Corner in the right setting, at the right time”. 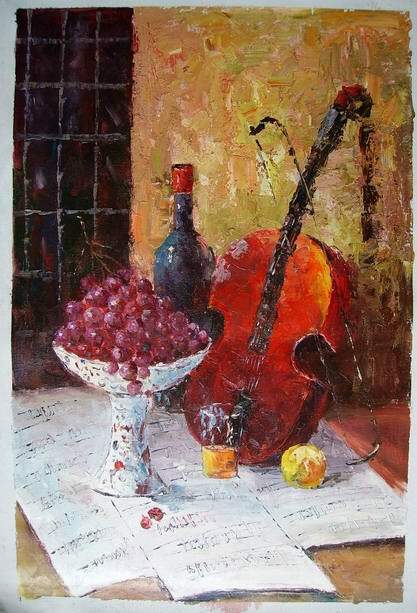 I think he is right…music is art to the ears, and wine is art to the nose and mouth. Liquid art in a glass. 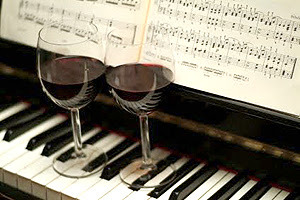 There is variety in music styles, just as there is variety in wine. I imagine listening to Beethoven, and sipping a fine Bordeaux, or jammy Zinfandel with modern Jazz. What goes with punk, or classic rock? Most rockers probably drink beer or hard alcohol, heck, Sammy Hagar (a local in my community) has been successful with his own line of Tequila: Cabo Wabo. Mick Fleetwood has the aptly named Mick Fleetwood Private Cellar. Founded in 2001, it is a collaboration with Langtry Estate and Vineyards. Olivia Newton-John owns Koala Blue Wines. Dave Matthews owns Blenheim Vineyards. Boz Scaggs owns Scaggs Vineyards in Napa Valley. Maynard James Keenan owns Caduceus Cellars and Merkin Vineyards in Arizona, and has been getting rave reviews for his wines. I have had the opportunity to try a number of them, and I am impressed on what can be done with Arizona grapes. 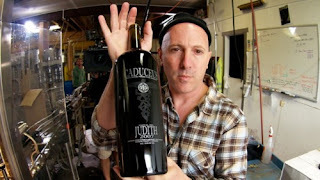 Some other musicians that have labels include, Barbra Streisand (Streisand Wine), KISS, Madonna (Ciccone Vineyard and Winery), The Rolling Stones, Smothers Brothers (Remick Ridge Vineyards), Les Claypool (Claypool Cellars), Lil Jon (Little Jonathan Winery), Fergie (Ferguson Crest), Vince Neil (Vince Neil Vineyards), and Sting (Tenuta il Palagio). 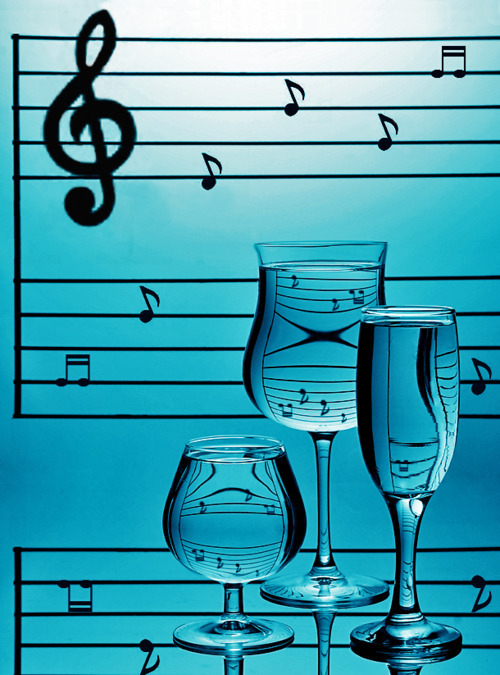 So what is it with wine and music? There has been some experimentation with the effects of different music on wine. A study by Adrian North, at Heriot-Watt University, shows that our perception of the wine is influenced by the music we listen to. So, next time you sit down for a glass of wine, consider the background music. Maybe that glass you thought was bad, in your last restaurant venture really wasn’t bad….they were just playing the wrong music!